The Autumn Embers Encore Azalea is a unique evergreen flowering shrub that is smothered from spring to fall in stunning dusky red flowers. Unlike other azaleas which flower only in spring, the Encore Azaleas flower through summer and then put on a huge encore in fall with another burst of flowers. It is in flower for 9 months of the year, so this is the ideal plant to bring continuous color to all the parts of your garden. Just imagine this gorgeous glowing color all across your garden, blending with everything else around it, yet standing out as a bold statement too. It will grow to 3 feet in height and up to 4 feet across and will thrive everywhere from the warmer parts of zone 6 all the way into zone 9. Your Autumn Embers Encore Azalea should be grown in soil that is well-drained but does not dry completely and these plants grow best in acid soils. If you do not have acid soil, you can treat them in the ground, or grow them in a container, which really allows them to be seen at their best. 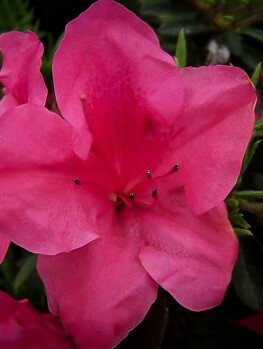 This plant does well in full sun or partial shade and is more tolerant of heat than other azaleas. It is a perfect choice for foundation planting around your home, in flower beds, in wooded areas or in pots on your terrace. The Autumn Embers Encore Azalea is a special azalea that flowers not just in spring, but also through the summer and then puts on a second big show in fall. It can be grown in all the milder parts of the country and will thrive best in acidic soil conditions. 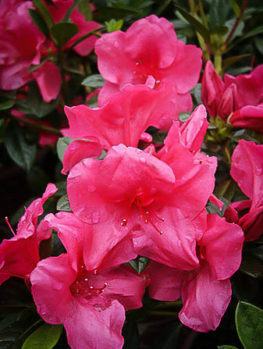 It prefers rather more sun than many other azaleas, so if you have a sunny garden and thought you could not grow azaleas because they need shade, this is the azalea variety for you to grow. 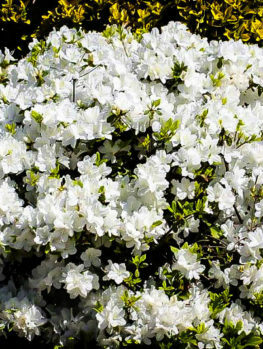 If you like the spring showing of azaleas but find them boring the rest of the year, this is also the azalea variety you should grow. In fact this is such a beautiful azalea that no garden should be without it. Not only can it be grown in the garden, it makes a beautiful plant for a planter or container, especially if your soil is not quite suitable for these acid-loving plants. 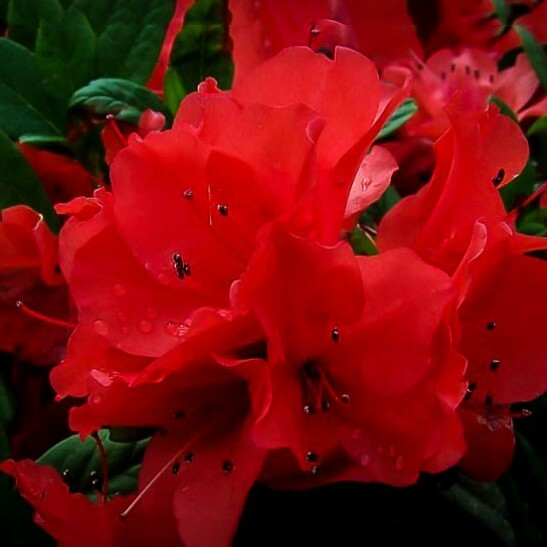 Of all the Encore Azaleas, Autumn Embers has the most striking flower color, a dusky salmon red that really stands out, yet blends with many other colors in the garden. It really glows, like the embers of a fire and it is covered with blooms for 9 months of the year, with peaks in spring and a brilliant encore in the fall. The Autumn Embers Encore Azalea is faster-growing than many other azaleas, so it will not be too many years before it reaches its full size of 2 or 3 feet tall and 3 to 4 feet across. It makes a magnificent specimen plant and because it is evergreen even for the short time it is not blooming it will still be an attractive element in your garden design. The flowers are like fluted funnels nearly 3 inches across in an absolutely stunning and unique color. 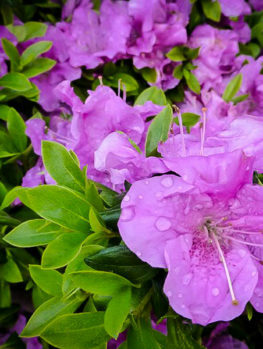 The most important consideration when growing azaleas is the pH of your soil. To grow well, your soil should be acidic, with a pH below 6.5 and preferably lower. 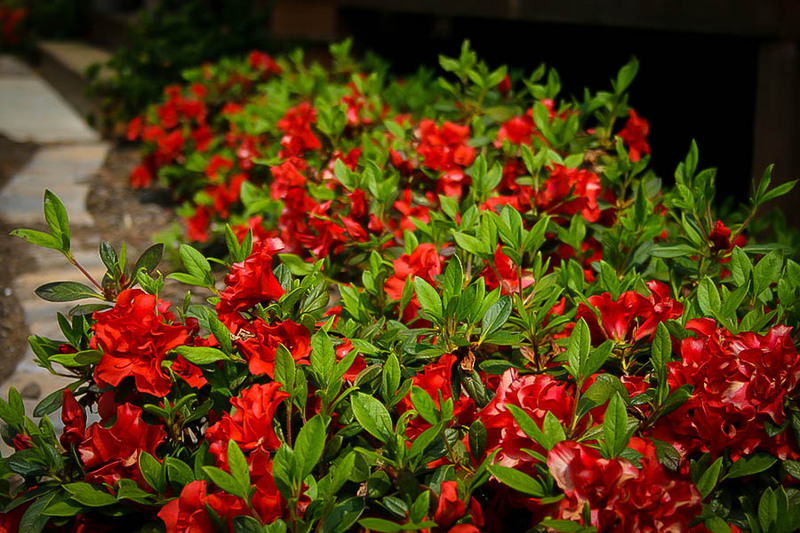 The ideal soil is one that is a little sandy, with plenty of organic material in it, but your azalea will do well in most acidic soils that do not stay wet all the time. Although azaleas like plenty of water they do not like to have ‘wet feet’, so plant in a well-drained location. Adding plenty of peat-moss to your soil will help keep it acidic. If you do not have suitable soil there are still two ways to grow this wonderful plant. One way is to feed your plant once or twice a year, in spring and perhaps again in summer, with chelated iron, which is a product available from garden centers. This will keep your plant healthy and blooming well. The other way is to grow your Autumn Embers Encore Azalea in a container, using planting soil for acid-loving plants, and which also allows you to move your plant around the garden to the best locations. 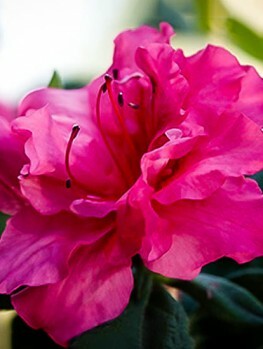 Unlike many azaleas, the Encore Azaleas like sunshine and will do best in full sun or with morning sun and afternoon shade, especially in warmer areas. 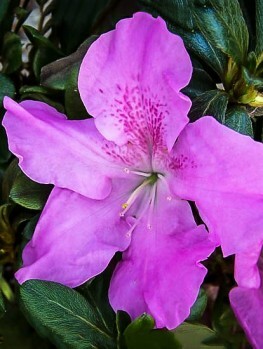 This means that you can now grow azaleas outside their usual spot as shade plants. 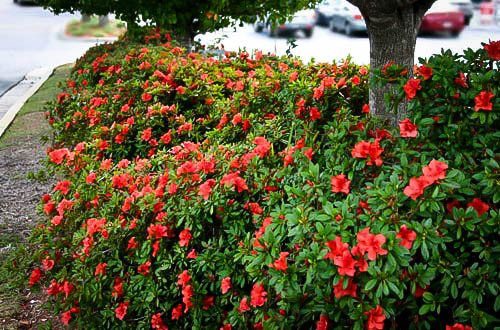 During the first season water your Autumn Embers Encore Azalea once a week, or more frequently during hot weather. Do not let it become dry and make sure you get water into the root-ball each time you water. Once established this plant can tolerate a little dryness, but it is best to not let the soil dry completely. To grow this beautiful plant in a container, choose a pot that has drainage holes and use a potting soil for acid-loving plants. Feed your plant once a month, except for winter, with a liquid fertilizer for acid-loving plants. This can also be used for plants growing in the garden. Place your pot in a spot that gets morning sun but some afternoon shade during the hottest months. Evergreen Azaleas are part of the huge group of plants called Rhododendron. These mostly come from China, Japan and the Himalaya and have been used by plant breeders to produce thousands of varieties. Almost all these plants flower in the spring and make a beautiful display at that time, but for the rest of the year just look green and since many are deciduous they are just bare twigs for half the year. 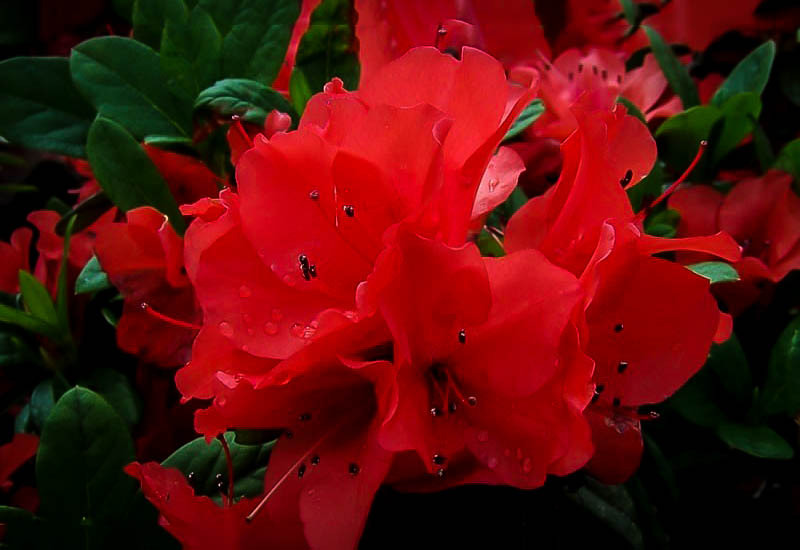 However there is one species, the Taiwan azalea, Rhododendron oldhamii, which is unique and blooms in summer and fall. An experienced plant breeder called Robert E. “Buddy” Lee started in the 1980’s to breed this very special and rare Taiwan Azalea with other evergreen azaleas. 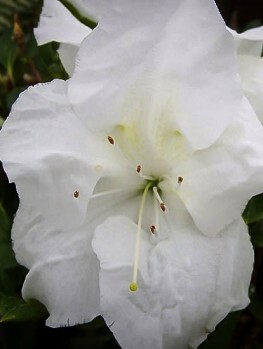 He had great success and produced a range of azaleas called Encore® Azaleas, because they not only flower in spring with the other azaleas, but they produce some flowers during the summer too and then come back for a stunning encore with a whole new flush of blooms in fall. The Autumn Embers Encore Azalea is a very special plant and it must be produced the correct way. Our plants are specially grown from stem pieces selected from original plants of the exact variety. 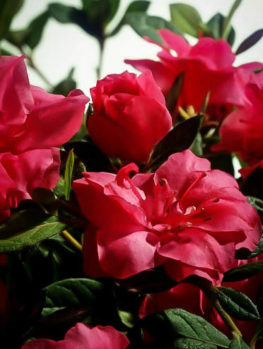 Beware of cheaper seedling plants or azaleas that are not labeled ‘Encore’ because they will not be this special and unique variety. In fact, our Autumn Embers Encore Azalea plants are provided to us by the original breeders and are true to the correct form. We regularly receive new stock so that our customers only get the very best and freshest plants. This unique and very special plant is always in high demand and our stock does not last, so to be sure of having this amazing plant, order now.